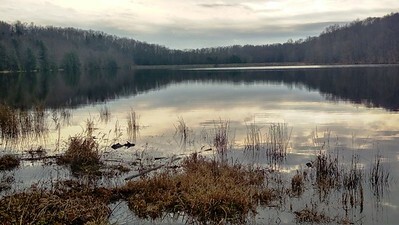 Just a few days before this photo was taken on January 17, 2019 the waters of Hemlock Lake were completely ice free. 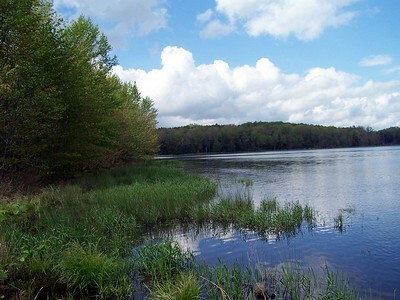 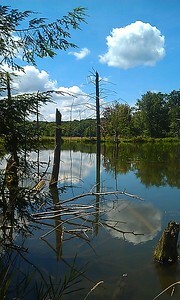 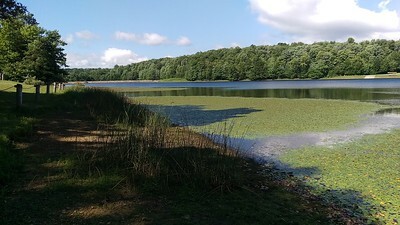 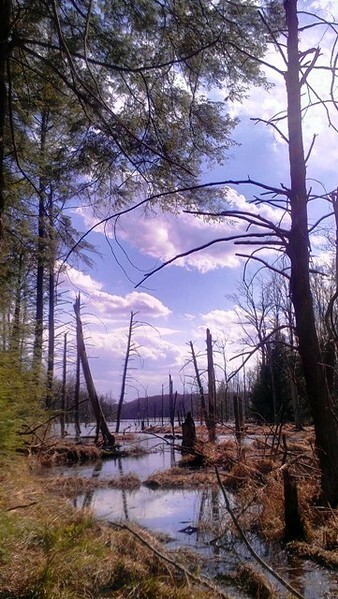 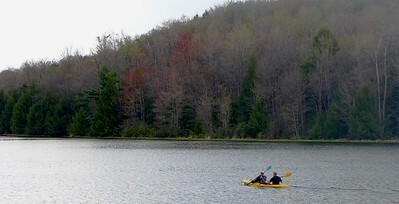 Hemlock Lake is one of three parks in our park system where the Wehrle's Salamander lives. 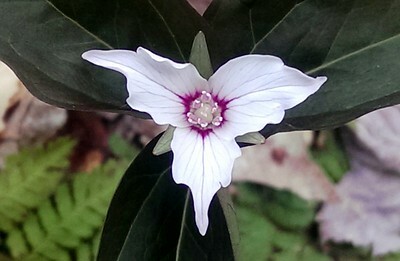 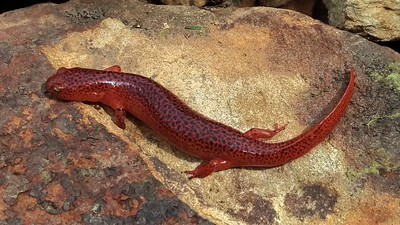 The species is named for R.W. 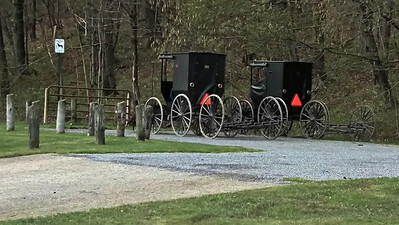 Wehrle (1852 - 1937) of Indiana, PA. 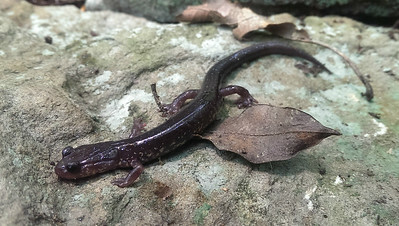 Spotted Salamanders are well-known for their annual Spring migration to vernal pools but some wait until the Fall to begin their trek back to their winter burrows. 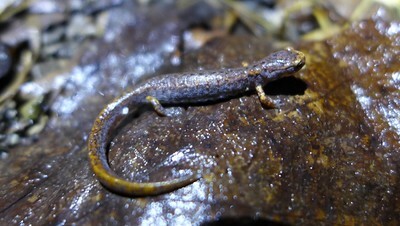 Most Spotteds migrate back to their burrows just a few days after mating, this one waited until late October to make its journey. 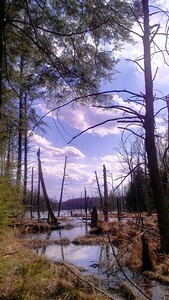 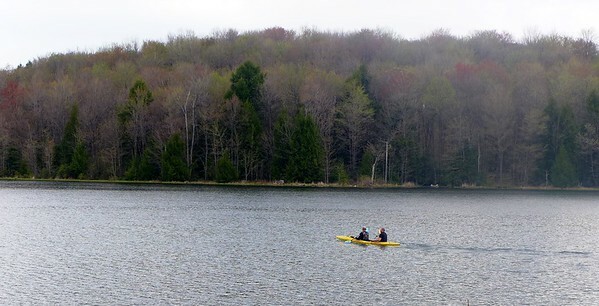 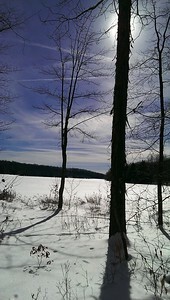 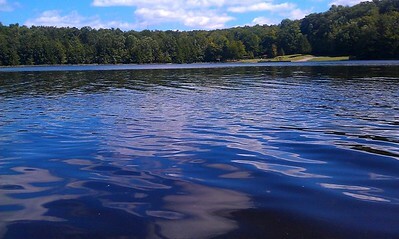 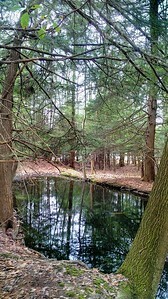 Although the calendar said the next to last day in December the scene at Hemlock Lake on this day was not winter like. 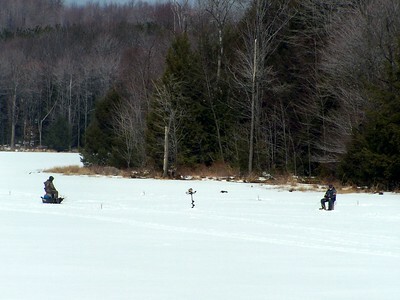 By now in most years there is usually some ice on the lake by now. 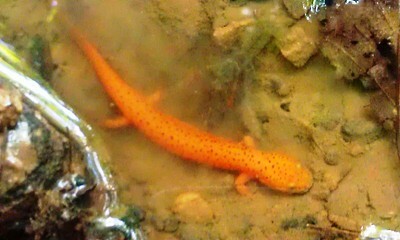 This colorful Red Salamander lives at Hemlock Lake County Park. 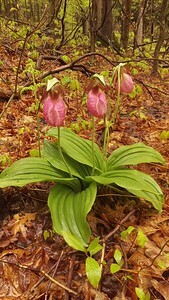 Based on the dark color we would guess this one is several years old. 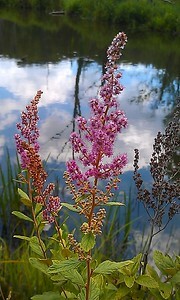 They tend to get darker in color as they age. 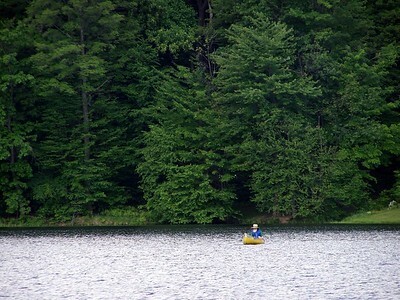 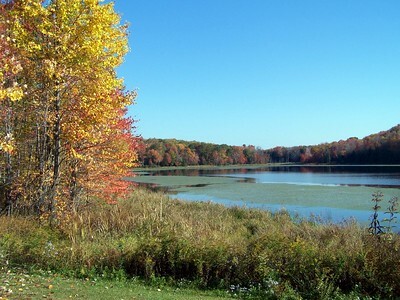 We have designated horse and buggy parking areas at Hemlock Lake. 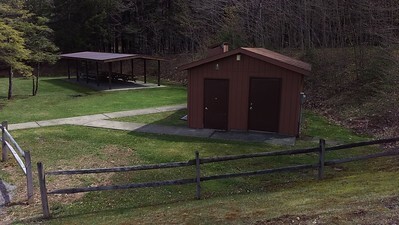 Our pavilion at Hemlock Lake is available free of charge on a first-come first-served basis. 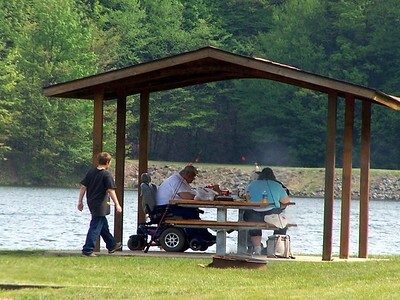 The pavilion has five picnic tables and holds about 50 people. 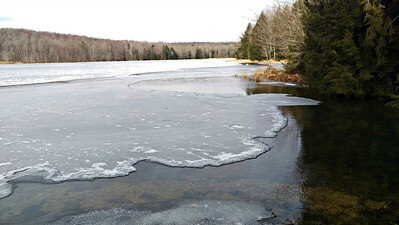 Ice has just about completely covered Hemlock Lake. 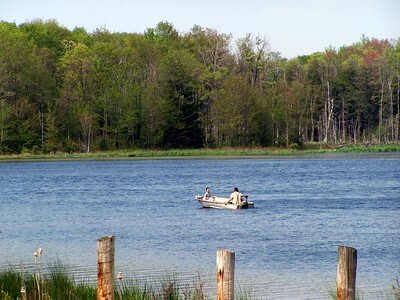 The few open places that remain are areas where springs and small feeder streams enter the lake.